BRUNSWICK, Maine — A Christian group at a liberal arts college in Maine has lost its recognition for refusing to follow the school’s ‘anti-discrimination’ policy by requiring group leaders to be born again Christians. 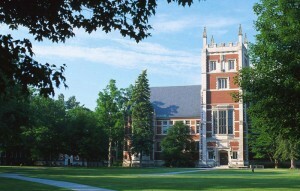 Bowdoin Christian Fellowship has been recognized on the campus of Bowdoin College for the past forty years. But after this summer, it will be losing its privileges at the school simply because the groups wants its leaders to be Christian. Ives was referring to Bowdoin College’s anti-discrimination policy, which requires that all students, regardless of their religious affiliation, be permitted to run for leadership positions. “It would compromise our ability to be who we are as Christians if we can’t hold our leaders to some sort of doctrinal standard,” former member and now graduate Zackary Suhr, 23, told reporters. The college has already revoked the keys that the group possesses, which granted them access to college facilities. Bowdoin Christian Fellowship will now only meet informally as a group. As previously reported, a similar situation took place in February 2013 when University of Michigan officials revoked the recognition of InterVarsity Christian Fellowship for refusing to change its constitution to allow non-Christian leaders. Similar policies are increasingly being implemented at colleges and universities across America.